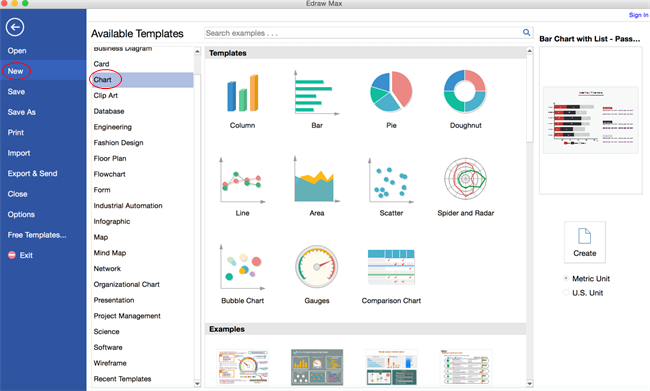 Here are full details on how to create charts and graphs on Mac. Drag-and-drop shapes, point-and-click editor and attached text boxes, free templates and easy formatting tools make everything as simple as pie. You begin with smart templates that have been well-formatted. Then you can point and click to edit chart or graph. Add data directly into the attached text boxes and the shapes (bar, column, pie and line etc.) will change automatically. See how to do it with our amazing chart and graph software for Mac easily in the following tutorial. On the File menu, point to New.-> Click Chart, and then double click the icon of your desired chart, such as bar chart. A blank canvas and the necessary libraries open automatically. 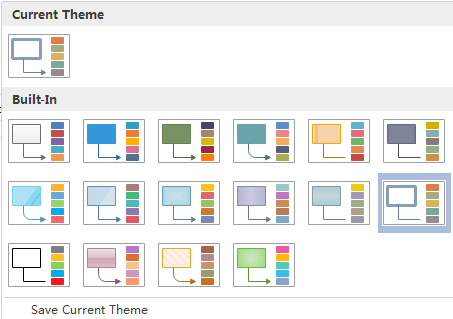 Drag and drop a chart or graph from the left library to the canvas. Drag the green square handles to resize shapes. Drag the yellow control point to resize subshape. Select a series of sub shape in any category or a legend sub shape > Change the selected shape fill style, then Edraw applies the fill style to the series shapes. Move the cursor over the chart or graph to show the floating action button. -> Rest the cursor over the floating button. -> Point and click the floating menu to edit the shape such as add a category or hide data label. Click the Appearance Options and then a dialogue box pops up. You can format the shape in more aspects in it. To align multiple shapes vertically or horizontally, select the shapes you want to align, then, click the Align button under Home tab to align shapes. When moving a shape, the dynamic guidelines show to help you align it with the nearby shapes. To distribute three or more shapes at regular intervals, select the shapes, and then, click Distribute in Arrange group under Home tab. To add text to a shape, select it, and then type. When you are finished typing, click outside the text box. Our chart and graph shapes are smart vector shapes. 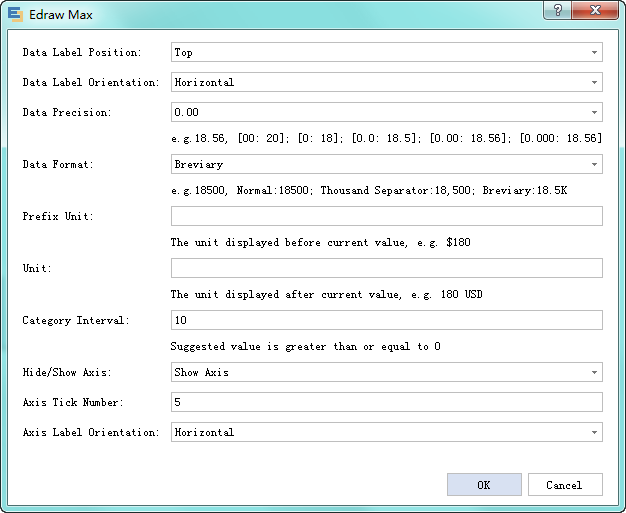 After you enter new numbers in the data labels, relevant shapes will change automatically to reflect the data changes. Choose a different font under Home tab. Customize the size, color and alignment by clicking relevant menus. By choosing a suitable Chart and Graph theme, you can add professionally designed fill, line and text style to your chart altogether at 1 click. This saves you lots of troubles in formatting. Not everybody has a copy of Edraw so there are times when you need to export diagrams from Edraw into another format. This may be for viewing online within a webpage; for inclusion in another application, such as PowerPoint; or just for printing. 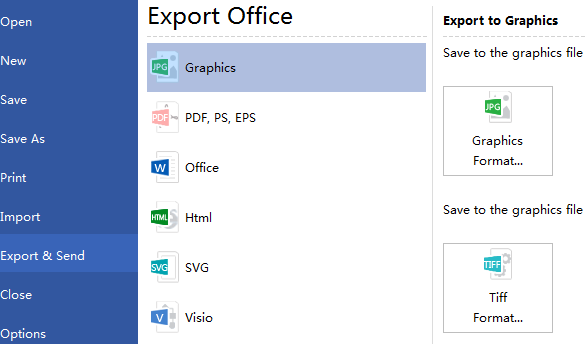 Hit Export & Send under File to export the file as other formats. Click File tab and then choose Print. A preview of your chart automatically shows. TIP: Use the zoom slider below the preview to magnify the image of the chart. 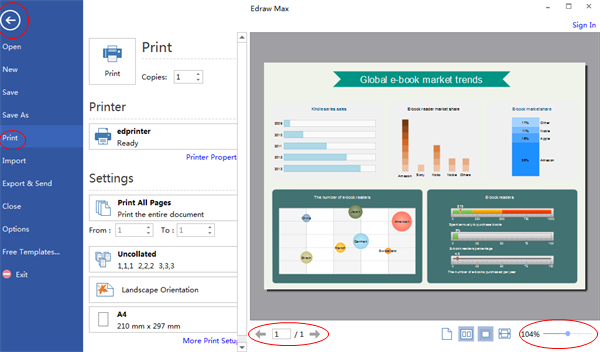 To go back to your chart or graph and make changes before you print it, click the top left arrow. Here are some free and fully customizable chart and graph examples. Download them to get inspired and get started quickly. Try an easy and effective Chart and Graph tool - Edraw. Download it through the links below.